Whether you’re just starting out with a new business or are finally making some real money on your side venture, you should carefully evaluate your business structure. The two biggest considerations are liability and taxes. When you incorporate your business, you can protect your personal financial assets in case someone holds your company liable for damages. Additionally, choosing a business structure other than a sole proprietorship or partnership can reduce your tax burden. Your accountant can help you set up the perfect structure for your company. Many successful businesspeople are great with generating income, but they’re not always good with numbers. That’s where your accountant comes in. It makes sense to perform a financial analysis before you invest a tremendous amount of money in a new venture. It’s also a good idea to evaluate periodically what’s working right now and what isn’t. A financial analysis can include an in-depth look at all your business expenditures. This could be an opportunity to increase your bottom line. Between reducing unnecessary expenses and focusing in income-producing activities, your accountant can help you take home more of the money you’ve worked so hard for. Of course, the tax considerations are significant, too. Your accountant could identify more opportunities for you to save when they prepare your taxes. If you have employees, you must pay the necessary payroll taxes every time your employees get paid. This can get complicated rather fast. Collecting your employees’ W4 documentation is the easy part. Payroll taxes include Social Security and Medicare, but you must also file the required federal tax withholdings. It’s your responsibility to send these funds to the IRS and generate the required reports. Your accountant can take over this headache for you. It’s a good idea to let an expert handle payroll, because there are dire consequences when you mess this up. It can even get more complicated when you’re also deducting payments for health insurance. It’s also possible that one or more of your employees need to have a portion of their wages garnished as is the case with child support. In that case, you must also follow the legal requirements by deducting the required portion correctly. If you don’t have employees and are working with independent contractors instead, you must tread extra carefully. The IRS is rather particular about when to make this distinction. In general, you control how an employee performs the work, whereas you only agree on the final product with an independent contractor instead. If you misclassify your employees as 1099 contractors, you could face harsh financial penalties. It’s best to talk to your accountant about this distinction to make sure you’re doing it the right way. 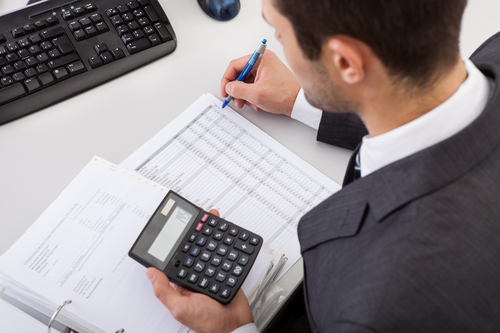 Your accountant is in charge of maintaining your financial records and ensuring their accuracy. You probably have other people in charge of the day-to-day work, such as generating invoices and collecting payments. Your accountant will review your financial transactions periodically, generate reports and statements, and review the records for accuracy. An accountant is also the right person to ask for advice on your business decisions from a money standpoint. They can calculate the financial ramifications of switching suppliers, contracting with another company, or merging services. Businesses are required to file annual tax returns, just like individuals. Additionally, they have to send out a W2 to each of their employees and 1099s to their independent contractors. If your company pays interest or dividends, statements must be issued. Most of these financial reporting duties happen at the end of each fiscal year. In many cases, you also have to file the reports with the IRS and issue statements to the affected individuals. Your company must file a tax return every year. This is even more complicated than filing an individual income tax return. Your accountant will ensure that all your revenues and expenses are classified correctly for tax purpose. It’s not just a matter of doing simple math, because certain expenses are not fully tax-deductible. In fact, you’ll probably end up with slightly different statements for tax purposes.